The Gemini offers twin engine performance and reliability in a kit aircraft that’s affordable, easy to build, and thrills to fly. 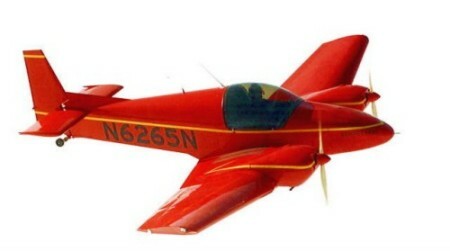 Developed by well known aeronautical engineer Chris Heintz for the first-time kit builder, the Gemini design is the newest aircraft based on the successful ZODIAC kit plane line - now in its sixteenth year of production. The aircraft is still under development and as yet kits are not available. A twin-engine aircraft represents more than just additional power: The utility of a twin-engine aircraft increases – where night, weather and altitude travel take on added meaning and versatility – where flights over long distances are more likely to encounter varying weather conditions. Increased payload capability makes the GEMINI a true cross-country aircraft for extended overnight trips, and additional panel space (especially space behind the panel) allows for custom avionics installation for full instrument flight operation. Despite the apparent advantages to owning and operating a light twin, twin-engine aircraft have been inaccessible to sport pilots due to prohibitively high purchase and operating costs. 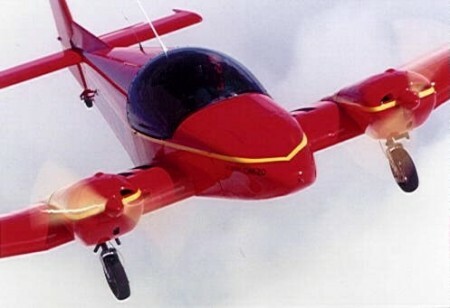 Designed primarily for professional pilots, conventional twin-engine aircraft require advanced piloting skills for high performance and complex aircraft - making them unsuitable for most sport pilots. The GEMINI CH 620 breaks new ground in the field of sport aviation. Until now, no affordable and simple light twin-engine kit aircraft has been available, despite the proliferation of new designs and technology in the kit aircraft industry. The GEMINI CH 620 is a light twin-engine kit aircraft. The sleek low-wing design has a wide performance envelope, making it easy to fly (low landing speed), yet it outperforms most other light aircraft in its weight and power class. The aircraft features a simple retractable gear system, available in either standard taildragger or optional tricycle gear configuration. Basic features of the GEMINI include a high useful load, large cabin area, and ample baggage space, making the light twin aircraft suitable for extensive cross-country trips, yet simple and sporty for local recreational flights. The GEMINI provides comfortable two-place side-by-side seating in a spacious 44-inch wide cabin. Access to the cabin is easy from both sides of the aircraft, facilitated with 20-inch wide reinforced wing walkways on either side of the fuselage. The large bubble canopy provides outstanding visibility, including superior forward-downward visibility that only a twin-engine aircraft can offer. The large cabin area is equipped with a full-size instrument panel for basic flight and engine instruments. There is plenty of clearance behind the panel to accommodate full custom avionics packages. DUAL CONTROLS: The GEMINI features a centre-mounted control stick accessible from both the left and right hand seats. The unique "Y" control column is a Heintz design feature that pilots fall in love with - it leaves the occupants lap area unencumbered - unlike dual yoke or stick controls - leaving room for charts or other navigation aids on the pilot’s or co-pilot’s lap. The centre stick also does not restrict visibility and access to the instrument panel. The engine controls quadrant is situated on the left hand side of the cabin for easy access to the pilot. The dual rudder pedals also provide steering for the nosewheel (in tricycle gear configuration) or the tailwheel (in conventional configuration). Standard toe-brakes provide differential braking to the hydraulic disk brakes. The GEMINI CH 620 is designed not only to provide excellent performance and flight characteristics, but importantly, also for quick and easy assembly from Zenith Aircraft’s complete kit. The aircraft uses single-curvature sheet-metal skins fastened over structural members, such as the factory-manufactured spar, wing ribs, longerons, and fuselage bulkheads. Parts are fastened using the proven Avex blind rivets, which are as easy to set as ‘pop’ rivets. The corrosion-resistant Avex rivets provide a permanent structural bond and tight low-profile domed finish formed by the custom riveter head. Blind riveting does not require the special skills or tools that conventional "bucked" riveting calls for, making it well suited for first-time builders. Additionally, as the name implies, riveting is performed only from one side, with access to the ‘blind’ side not required. Because the Avex rivets are so easy to set, construction time is minimized. MODULAR CONSTRUCTION: The GEMINI is assembled one section at a time to minimize space requirements while building. Typically, the wings and tail section are built first. Once assembled, these sections may easily be stored until they’re ready to be joined to the fuselage. Even the fuselage is built in two sections to minimize the space needed to build the GEMINI. The modular building sequence allows the builder to "buy-as-he-builds" rather than buying the complete kit at once. The GEMINI CH 620 wings are made of a carry-through cantilevered main spar. The wing centre-section has a thick 18-percent constant chord airfoil, with tapered outboard wing sections. The outboard wing panels are made for quick and easy removal from the centre section, and are fitted with full-length ailerons at the trailing edge. A sophisticated factory-welded chrome-moly steel device acts as an integrated engine mount and retractable landing gear assembly, attached at each end of the centre wing section. The rear fuselage is made up of a simple rectangular section with a rounded top, formed with single-curvature skins with internal longeron and bulkhead reinforcements. The cabin area is built around the centre wing section, and rounds at the front to join the sleek fibreglass nose cone. The conventional horizontal tail has a fixed stabilizer and large elevator, equipped with a standard electric trim tab. Fiberglas fairings round the ends of the horizontal tail. The full-flying vertical tail (rudder) is all moving to provide maximum cross-wind capability. The rugged retractable landing gear may be configured either as a taildragger (conventional) or tricycle (optional). The main gear is equipped with large 16-inch wheels and the sturdy retractable gear mechanism uses dual ‘bungee’ shock absorbers to provide rough field capability. The main gear is mechanically retracted by a lever located in the cabin. The low-profile tailwheel is fixed (non-retractable), and is linked to the rudder pedals for effective ground handling and steering. The all-metal airframe design is based on the ZODIAC CH 601 kit series and other Heintz designs which have proven themselves exhaustively over the past 22 years. Developed for the novice builder, the GEMINI kit draws on Zenair’s vast aircraft design and manufacturing experience. Over the past twenty two years, Zenair has excelled in the light aircraft industry, successfully bringing to market more than 12 new kit designs and a type-certificated production aircraft. Being the latest Zenair development, the GEMINI CH 620 kit brings forward the ZODIAC CH 601’s tried and proven kit building technology developed for novice builders. The main wing spar is made up of three sections: A fuselage centre section and the outboard wing panels. The three sections are bolted together for easy disassembly. The sturdy wing spar is a built-up C-beam with spar cap angle extrusions buck riveted to the shear web. Spar cap doublers are added at the top and bottom of the web at the wing root. The spar sections are joined by dual splice plates that set the 6½-degree wing dihedral. In the kit, the spar sections are factory-manufactured and jigged together. WING ASSEMBLY: Building the wing sections is easily done on a flat workbench (about 12’ x 4’). The nose and rear wing ribs are positioned to the pre-drilled stations along the spar. The pre-formed wing ribs are supplied ready-to-install (hand finished with flanged lightening holes). A rear spar "Z" angle is attached to the ends of the rear ribs. Once the wing "skeleton" (internal assembly) is put together, top and bottom rear wing skins are fitted to the assembly. The pre-formed leading edge skin is then simply wrapped around the nose ribs and fastened together with the rear skins and spar. Welded aluminum wing tanks are installed behind the main wing spar in the outer wing panels. The ailerons are made up of a single pre-formed sheet-metal skin, with internal reinforcement ribs. The top aileron skin is fastened to the rear wing, providing a unique and simple ‘hingeless’ gap-sealed pivoting system. TAIL SECTIONS: The horizontal stabilizer structure is made up of two spar sections with eight internal ribs. A single pre-formed skin is then wrapped around the assembly for final covering. The elevator uses a single pre-formed skin with several internal rib supports. The elevator is hinged to the stabilizer with a convention piano-hinge. A standard electric trim servo is mounted inside the elevator. The tapered rudder (vertical tail) consists of a main spar that runs the length of the rudder, with nose and rear rib supports. A single rear skin is overlapped by a pre-formed nose skin, riveted together at the spar. FUSELAGE CONSTRUCTION: The fuselage is assembled in two manageable sections: the rear fuselage and the forward fuselage / cabin area. The rear fuselage is built up on a flat workbench, by first attaching longerons, stiffeners, and support brackets to the pre-formed bottom fuselage skin. The flat side walls are also built up from a flat workbench, and then joined to the fuselage bottom. The top rounded bulkheads are then attached to the bottom-half assembly and the top fuselage skins are placed around the bulkheads. The forward fuselage / cabin area is built up around the wing centre section, positioning the cabin side skins, cabin floor, and nose cone bulkhead. The instrument panel and cabin frame are then attached to the section. The two fuselage halves are then fitted and joined together. Once the major airframe sections are assembled, the landing gear is installed: the integrated engine mount and retractable landing gear assembly is bolted to each end of the centre wing section (fuselage), and the wheel assemblies are bolted to the bottom of the landing gear struts. The tailwheel assembly is bolted to the end of the rear fuselage. With the fuselage on its gear, the tail sections and the outer wing panels are bolted to the fuselage, and the controls are installed: The factory-welded rudder pedal assemblies are bolted to the cabin floor, and the centre stick is installed. Cable control lines are then run through the fuselage to the tail sections and attached to the elevator and rudder control bellcranks, and aileron control cables are brought to the aileron bellcranks at the ends on the centre wing section. Pushrods connect the bell cranks to the ailerons. The formed Plexiglas bubble canopy and frame is then assembled and fitted to the fuselage. The engines are fastened to the airframe, and powerplant controls and systems are installed. Finally, the fiberglass engine cowls and the nosebowl are fitted to the completed aircraft. The complete kit has been developed to meet the "51% rule," making it eligible for "Experimental - Amateur Built" registration in the United States. Contact the Federal Aviation Administration (FAA) for details on kit aircraft registration and operation. Assembly time for the complete kit is estimated at just 750 hours for the average novice builder. That means that the average builder can expect to fly the completed Gemini within just one year when averaging about two hours of building time per day (or slightly more than three months full-time). WORKSHOP SPACE: A basement workshop or single car garage provides plenty of room for most assemblies. All the sections are built on a flat level workbench (12’ x 4’). No requirement for temperature controlled workshop. TOOLS: Only simple hand tools are needed. This also means that no special building skills or experience is needed, making this a good project for first-time builders. Parts or processes that require special tools, jigs or skills are pre-manufactured at the factory to minimize the construction time. Assorted hand tools such as files, pliers, wrenches, etc. No costly or specialized tools are required, and importantly, no jigs or fixtures need to be made (that means time is spent building the aircraft, and not making jigs).